The construction site is located in the Kurchatov town of the Kursk region. Separate branch of the JSC Concern Titan-2 is established there, Construction office for the facilities in Kursk region. 240 employees are currently involved into the construction process. 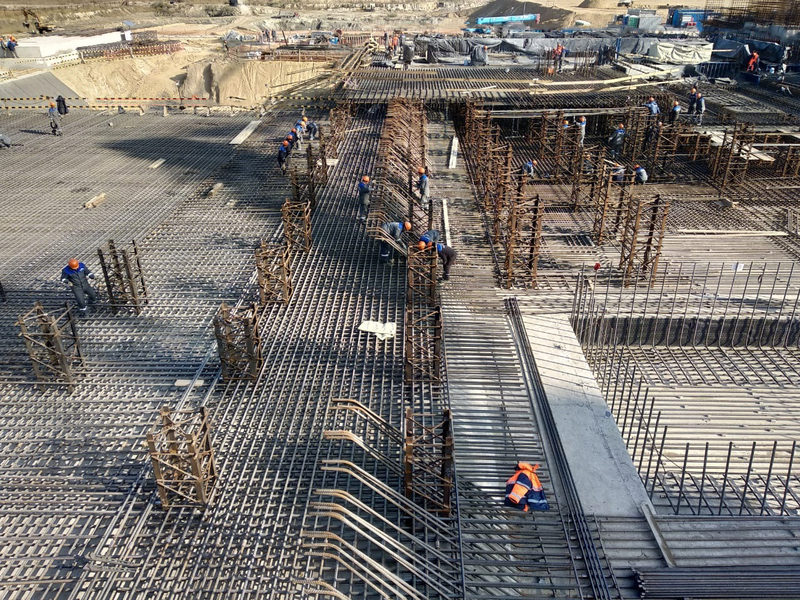 Company specialists are reinforcing and concreting the foundation slab for the turbine building of the Kursk NPP-2 first power unit, as well as assembling the horizontal waterproofing. Moreover, they are arranging concrete bedding for the heating plant and demineralisation plant buildings making part of the turbine island. Construction workers from Sosnovy Bor are also responsible for the refrigerating unit building. They will perform the whole scope of construction and installation works for all these buildings. The Holding equipment is operated on site: excavator, backhoe loader, truck-mounted concrete pump, mobile and tower crane, which is under assembly. They were transported to Kurchatov from Sosnovy Bor.